Home » What Do Overalls Protect You From? What Do Overalls Protect You From? Overalls can protect their wearers from many possibly harmful or unwanted influences from their environment. It is important to note that not all overalls protect from all these factors. Their ability to protect depends on the overalls design and material. In other words, you cannot simply buy any type of overalls for your employees and hope that it will guard them against burns. In order to be an effective defence against fire or water, the material of the overalls needs to be treated in a special way. The same goes for protection against some chemicals. To protect you from accidents, the overalls have to have hi vis properties. This means that they need to have fluorescent materials and reflective tape on them, according to the New Zealand standards AS/NZS 4602.1.2011 and AS/NZS 1906.4.2010. How do you know whether your overalls meet all the standards for the certain use? You can simply ask those that already have a ton of experience with different kinds of overalls. Alsco New Zealand rents a wide range of overalls for different purposes. We can advise you and help you make the best choice. After all, overalls are important! Why? Let’s discuss it a bit and explain. Protection – Of course, the first function of overalls is to protect. However, they don’t protect only the body of the wearer. Overalls can be used to protect the clothing, as well. If your employees work with food, for example, their overalls can be used to protect their everyday wear from spatters and spills. 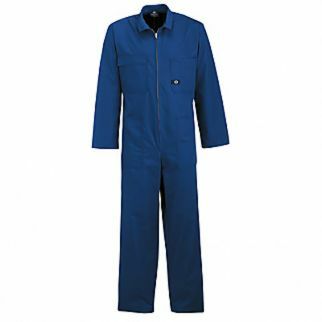 Temperature regulation – There are stuffed overalls that are excellent for cold days or night shifts. They keep their wearers warm. In the mining industry, they are especially important, since the underground conditions usually mean low temperatures. On the other hand, breathable fabrics are also available for overalls. That makes them perfect for warmer climates. Visibility – Hi visibility overalls are important for those occupations that work alongside highways, as well as those that are first responders. Visibility of such overalls is achieved with the combination of fluorescent fabrics and reflective tapes. If there is only fluorescent fabric used, the overalls are to be used only during daytime. The hi vis overalls that have reflective tape can be used during nighttime, as well. Brand exposure – Overalls cover a big portion of the wearer’s body. Surely, there is enough space on that amount of fabric for a company logo or a brand name. Just make sure, if you want to put a logo on hi vis overalls, there has to be a minimum of fluorescent material visible. The purpose and the function of overalls are now clear, but have you ever wondered about their name? The answer is quite simple. Why Are Overalls Called Overalls? The etymology of the word “overalls” is pretty much transparent. It is a piece of clothing that covers the rest of your clothing. In other words, it goes “over-all-other-clothes”. However, it didn’t start that way. The first commercially made “overalls” were actually jeans with suspenders. Levi Strauss, the inventor of jeans initially intended for them to be used as protective work overalls. They were meant to be a sort of waist-high overalls. Work overalls had to wait for their upper part all until 1900s. Harry David Lee created this type of overalls by connecting the pants and the shirt. He also added the straps that went over shoulders to support the garment. While they were designed to be overalls for men, they were also used as overalls for women and even kids. In time, the versatile use of overalls grew and they are now present in many industries. Different purposes of overalls led to different overall designs and different overalls types. 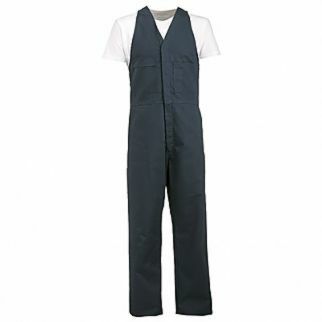 The most common type of overalls being the coveralls. What is the difference? 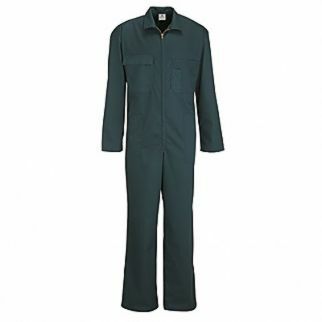 What Is the Difference Between Coveralls and Overalls? There is another definition about what is overalls and what is coveralls. 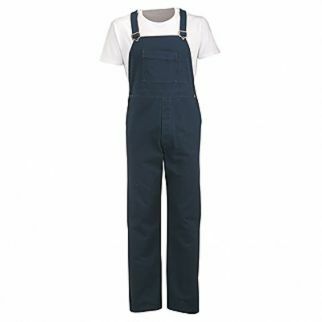 Some people think that overalls include connected trousers, bib and over shoulder straps or suspenders. On the other hand, coveralls also include a shirt with sleeves. 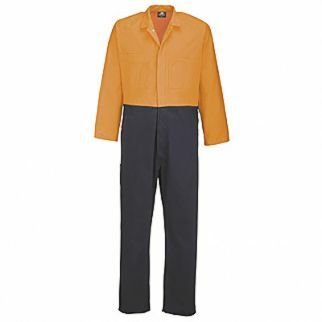 Coveralls are also sometimes referred to as boilersuit. However, in New Zealand, you can expect for the words “overalls” and “coveralls” to be used interchangeably. Therefore, you are safe with using overalls and coveralls for the same type of garment, but you would have to make it clear whether you need the overalls that have the sleeves or not, just in case. What Are Duck Bib Overalls? Instead of just overalls or coveralls, you will also hear the term “duck bib overalls”. This is what a lot of people think about when they say “overalls”. This is the type of overalls with pants, bib and braces, but made out of special duck fabric. Duck fabric is actually cotton duck fabric. This is a type of plain-weave canvas that is much softer to the touch than the regular canvas, but with all the durability and sturdiness. It also has a higher thread count than plain canvas. 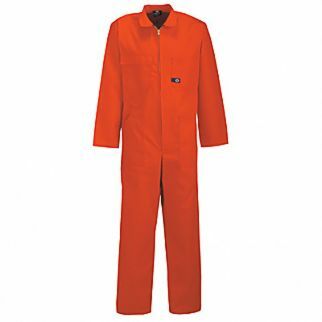 These types of overalls are quote versatile in their use, but they are not to be used in situations when the fire retardant properties are necessary. These overalls are good for occupations where the minimal to moderate protection is needed and their main goal is to help protect the clothes from dirt and wear and tear. 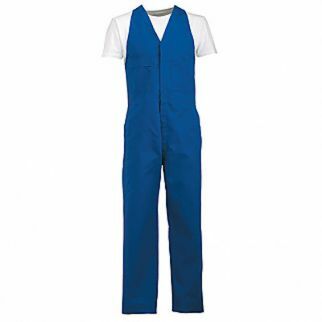 Therefore, if you are interested in work overalls for different industries, your better bet are polycotton or cotton overalls or even hi visibility coveralls. All of these clothing items can be found in Alsco New Zealand range of products. 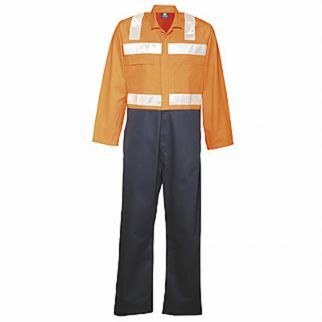 When browsing the Alsco NZ range of overalls and coveralls, focus on the material and the purpose of this garment. If you are not sure which one is the best for your line of work, contact Alsco NZ representatives and ask them. They will gladly answer all your questions. What you needn’t worry about is the maintenance and laundering. When you rent the overalls from Alsco NZ, it involves paying a flat annual rate. This flat rate also involves regular laundering and maintenance of your overalls. You just need to make sure they are in one place, so Alsco NZ representatives can pick them up and deliver the freshly cleaned and ironed ones to replace them. This will happen as often as you like. Call Alsco New Zealand today and discuss your needs for work overalls, so our representatives can help you with your choices and make sure you are pleased to work with us.